2011 will be remembered for so many things in the tech world. It will recall the last ever year of Steve Jobs' tinkering with the chips to come up with i-conic gamechangers. The year will also be regarded as one in which many devices matured after exciting births in the previous years-tablets, dual-processor smartphones, ultrabooks, to name a few. It is a year-end ritual to put these events in perspective and see the influence they have had on people and places. It is also a time to evaluate the year in terms of what it produced. Many gadgets were launched during 2011, some perished by the way side, ignored by the masses. Others became household names, presenting themselves as symbols of excellence in utility, performance and innovation. It is not easy to rank products since each individual derives his or her own degree of satisfaction out of them. What may fully satisfy the needs of one need not necessarily do the same for another. 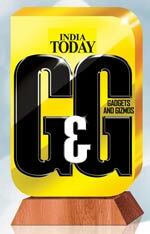 But India Today G&G, in an objective manner, has put the best gadgets on the podium, having ranked them on the basis of five attributes: Features present in the product; design; unique qualities; performance; and value for money. It must be made clear here that the devices considered for ranking were from among the ones that were sent to G&G during the year. If there are other sterling products out there which aren't on our list, presumably they did not reach our office for reviews in 2011. Ashish Bhatia is a technology journalist with over twenty years of tech writing behind him. Tushar Kanwar is a technology columnist who contributes to a variety of technology and lifestyle publications. Varun Krishnan is founder and editor of fonearena.com, a website on all things mobile. Gagandeep Singh Sapra considers himself the Big Geek at System 3 Group, a leading IT-managed services company. Anand Ramachandran is a comics writer, videogame industry consultant and interactive media designer. SPECS: 23-INCH FULL HD SCREEN; INTEL CORE i7 PROCESSOR 3.4 GHZ; 6 GB DDR3 RAM; 1TB HDD; NVIDIA GEFORCE GT 555M 2GB GRAPHIC; BLU-RAY DRIVE; HDMI, COMPONENT, BLUETOOTH, WI-FI; MULTI-TOUCH, 3D SUPPORTED; 5.0 SYSTEM SPEAKERS; TV TUNER. The Lenovo Ideacentre B520 not only looks good sitting on your desk with its frameless 23-inch screen, but the speakers at the bottom of the monitor give an ubercool appearance that one immediately falls in love with. Having the USB port on the side means that one does not have to turn the machine to access it. Since you can get it with a Blu-ray drive, and also because it has HDMI and Component ports, you can actually replace your TV with this desktop. However, a wireless keyboard and mouse are accessories that you have to add. You can also opt to have it upgraded to a touchscreen. SPECS: 13-INCH LED DISPLAY; INTEL CORE2DUO PROCESSOR 1.86 GHZ; 2GB DDR3 RAM; 256 GB SSD DRIVE; NVIDIA FEFORCE 320M GRAPHICS; 2 USB, CARD READER; WI-FI, BLUETOOTH; WEBCAM; 1.32 KG WEIGHT. 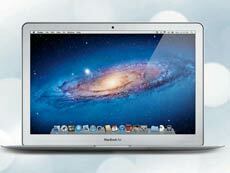 The MacBook Air 13 is both a hot looker and a great worker. It provides extreme performance in a tiny form factor. On the test bench, the Air 13 returned results that would put to shade even the performance of bigger machines from Apple's own stable. It has a fairly large keyboard and super bright LED screen. The speakers are nicely hidden, though you will realise they are not so shy once you put the audio on. The battery works for a commendable six and half hours. As part of the package, you get useful software like movie editor, photo organiser and Garage Band with real-time tutorials. SPECS: 9.7-INCH LED DISPLAY; 1GHZ DUAL-CORE APPLE A5 PROCESSOR; iOS 5; 16 GB STORAGE; 720P REAR CAMERA, VGA FRONT CAMERA; 3G, WI-FI, BLUETOOTH; A-GPS; 613 GM. When Apple changed the rules of the game with its iPad tablet, it set off a frenzy in the tech world. And despite a burgeoning tribe of tablets, the world looked forward to the second iteration of the iPad. 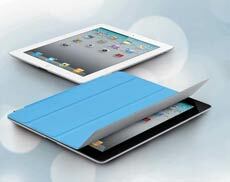 When it did come, the iPad2 sported everything new. 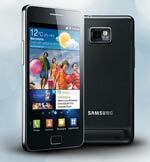 It is lighter, slimmer, better looking and has a boosted processing power in the 1 GHz dual-core A5 chip. The tablet remains unsurpassed in both user experience as well as the sheer magnitude of its magical content and native, tablet-optimised applications. The iOS 5 update has made the best only better and its battery has almost no rivals. SPECS: 4.3-INCH SUPER AMOLED DISPLAY; 1.2GHZ DUAL-CORE PROCESSOR; 8 MP CAMERA, FULL HD VIDEO CAPTURE; 16 GB MEMORY, EXPANDABLE TO 32 GB; BLUETOOTH, WI-FI, 3G, A-GPS; 1720 mAh BATTERY. When you know that the Samsung Galaxy S II sold 10 million units within five months of its launch, you know there is something special about this phone. But it's not just about figures. The Samsung Galaxy S2 is unarguably the best smartphone in town. Encased in a sleek body are a dual-core 1.2 GHz processor and 1 GB RAM on the latest version of Android, the v2.3 Gingerbread. A great blend of smart functionality with the best of multimedia features, the Galaxy S II was up against the Apple iPhone 4 (the iPhone 4S was not considered as it hadn't been launched in India at the time of the rankings) and won on sheer performance. SPECS: 3.5-INCH RETINA DISPLAY; 5 MP CAMERA SENSOR; 720P VIDEO CAPTURE; 8 GB MEMORY, NOT EXPANDABLE; 3G, WI-FI, BLUETOOTH, A-GPS; 137 GM. This will be a shocker of sorts for you-from a 12 MP camera phone that we picked as our winner in this category last year, we have plumped for a 5 MP device this year. But this is an Apple phone and the images captured using the 5 MP sensor and the LED flash on the iPhone 4 are better than those captured by Samsung Galaxy S II and Sony Ericsson Arc. The phone also provides the option of capturing images in High Dynamic Range. Don't ignore the 720p video capture at 30 frames per seconds either. And after all your creative capturing, you get plenty of applications to edit and to share your images. SPECS: 2.36-INCH NON-TOUCH DISPLAY; 5 MP CAMERA; 200 MB INTERNAL MEMORY, 2 GB MEMORY CARD; MEMORY EXPANDABLE TO 32 GB; FM RADIO, MUSIC PLAYER, 3G, WI-FI; 129 GM. There were a number of very good music phones launched during the year, including the Apple iPhone 4, Nokia X5 and the Sony Ericsson W8. But what impressed us about the Nokia x5 was its simplicity and the outstanding sound. The X5 has a dedicated music key placed below the display. It has a Playlist DJ for profiling songs as per the user's mood and a 'Spin' feature for changing tracks randomly. The 950 mAh battery was good enough to take you through a day of great music playback, whether over the speakers or headphones. 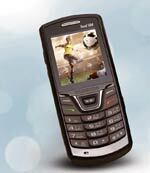 SPECS: 2-INCH DISPLAY; VGA CAMERA; WIRELESS FM RADIO; MUSIC PLAYER; EXPANDABLE MEMORY UP TO 2 GB; BLUETOOTH; 1000 mAh BATTERY. Usually the cheapest phones come from Indian handset producers. But this dual SIM device from Samsung pips all of them in terms of value for money. It has the best quality, utility and design. Even though it isn't the true dual SIM phone as the network of the second connection goes off air when accessing a call on the first, Samsung has still managed to put up a great show. The company got rid of the two calling keys by adding a dedicated SIM switching key. There is also the freedom of having a personalised sound setting for both connections individually. SPECS: 42-INCH LED DISPLAY; FULL HD, PASSIVE 3D; HDMI, COMPONENT, COMPOSITE PORTS, SMART FUNCTIONS; 20 W RMS SOUND; MOTION-SENSING REMOTE; 140 W POWER CONSUMPTION. Yes, we know that 3D TVs are the future. But LG did the best job of the year but yoking its 3D screen with what are called "Passive 3D" glasses. These weigh around 16 gm, compared to the 80-200 gm of normal active-shutter glasses. 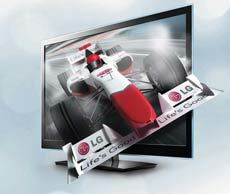 The LG LW 6500 can convert 2D feed, whether from a console, media player or a set-top box, to 3D. The images are vivid and frame rates stable during high-pace action scenes. The onboard audio isn't bad either. Apart from these, this TV comes with smart applications that let you browse the Internet or to stream media from an external source. Its magic motion remote aids the user in managing and browsing content. 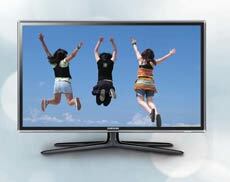 The latest trend in flat panel television sets is "Smart TVs". While boasting Full HD support, these are capable of connecting to the Internet. Besides, with the application space expanding, there are apps available for download on Smart TVs now. And this machine takes advantage of these. This Samsung beauty has 100 Hz clear motion rate, ultra clear panel for crystal clear images, digital noise filter and wide colour enhancement for improving image quality are what makes it really special. It comes with 2 USB ports and 4 HDMIs with a maximum power consumption of 34 Watts on energy saving mode and 100 Watts during regular use. SPECS: 16.2 MEGAPIXELS CMOS SENSOR; 3-INCH MONITOR, 18-105 KIT LENS; F3.5-F5.6; 6400 ISO; FULL HD VIDEO RECORDING; USB 2.0; EYEFI WIRELESS CONNECTIVITY; 690 GM WEIGHT. 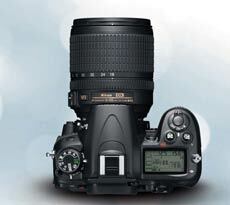 Pipping the Canon EOS 60D to the winning post, the Nikon D7000 offers great image quality, image depth and wide dynamic range. Its weather-sealed construction allows for shooting in extreme conditions. With a 39-point autofocus system, shutter speed of 30 to 1/4000 sec, auto ISO 100 to 6,400, this sturdy shooter packs in a punch with panache. It has fast focusing and a large bright viewfinder with 100 per cent coverage and a comprehensive feature set that all make a for superb shooting capability. SPECS: 12.1 MP CMOS SENSOR; 2.7-INCH LCD PANEL; 35X OPTICAL ZOOM; F2.7-F5.8; IS0 3200; FULL HD VIDEO; FOUR ASPECT RATIO OPTIONS FOR IMAGES; SD/SDHC/SDXC STORAGE; 600 GM WEIGHT. The first impressive feature you notice about this great advanced compact camera from Canon is its long 35X zoom (that's the equivalent of a 24mm-840mm lens). 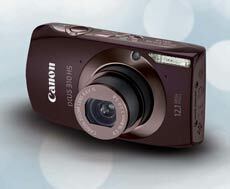 Along with the nicely stabilised distance shots, the sharpshooter can handle tight macro photos with great adroitness. It shoots Full HD video at 1920x1080 with 24 frames per second and 1280x720 at 30 fps.You can use creative effects not only in the stills, but also in the video. A 240 fps setting allows you to play back video in slow motion. SPECS: 12.1 MP BSI-CMOS SENSOR; 3.2-INCH DISPLAY; 24-105 MM LENS; F2.0-F5.8; 1/1600; ISO 3200; FOUR ASPECT RATIO OPTION FOR IMAGES; 185 GM. Aside from turning heads as a fashion statement of sorts, this handsome snapper boasts a large high-resolution LCD screen, 12.1 megapixels grab, an 8X zoom and Full HD movie capture. 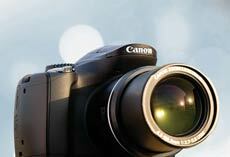 The camera's high quality optics ensure that the image output is top notch for a shooter of its class. it has the ability to capture a good amount of detail in natural colour without a whit of oversaturation. Its low-light photography is surprisingly good, using the inbuilt flash. Bottom line: A pretty piece that makes pretty pictures and costs a pretty packet! SPECS: 3-INCH TOUCH DISPLAY; 1920x1080 HD RECORDING; 10X OPTICAL ZOOM; 32 GB ONBOARD MEMORY; TWO CARD SLOTS; OPTICAL IMAGE STABILISER; REMOTE. The Canon HF M41 packs in a lot, pushing it to the winning edge. 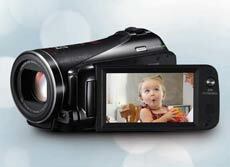 To start with, the CMOS Pro sensor captures high resolution quality videos. This is combined with 10x optical zoom for capturing details from a distance along with optical image stabiliser that eminently does what it is supposed to do. Along with these features, the ease of use has been enhanced by adding a 3-inch touch LCD display and a very convenient remote that can be used for operating the video camera from a distance. SPECS: 42-INCH SCREEN; FULL HD; 16 SPEAKERS SURROUND SOUND; CLICK PAD REMOTE; HDMI, USB, COMPONENT PORTS; iPOD DOCK; 44 KG WITHOUT STAND. This home entertainment system is a big show-off in a likable way. Not only does it pleasure our eyes with high-grade video, but is also indulges our aural sense with its true surround sound capabilities. 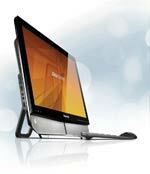 It thick frame accommodates 16 speakers. It has just one wire attached to its back that goes down to its very Bose-like main console, where all connectivity ports are pooled. The 16 speakers deliver an audio experience that makes a mockery of the "sweet spot" for surround sound. Wherever you are in the room, you can hear the audio envelope you. The system also has a first-of-its-kind click pad remote. Touch the button and a menu pops up on screen for you to navigate. 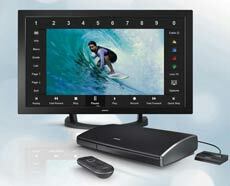 SPECS: 5.1 CHANNEL; HDMI, COMPOSITE, COMPONENT PORTS; USB; BLU-RAY PLAYER; ALL POPULAR MEDIA FORMAT PLAYBACK. Competing against music systems from Samsung, Philips, LG and Sony, it was Harmon Kardon's BDS 700 that managed to breast the tape. What did we like about it? Packed with the latest features, the system consists of four small side speakers, one front middle speaker and a sub-woofer. The impressive sound quality was yet another reason why the BDS 700 left the others behind. 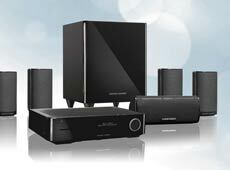 It plays Blu-ray, MP3, DVD and has USB support along with Full HD resolution for HD TVs. It also has a 3.5 mm jack if you desire individual attention from the harmonics emanating from its excellent innards. SPECS: XVID, MPEG4, FLV VIDEO PLAYBACK; WAV, MP3, AAC AUDIO PLAYBACK; USB; SD CARD READER; HDMI, COMPONENT PORTS; INFRA-RED REMOTE CONTROL. This instant plug-and-play media player with an HDMI cable enables watching 1080P HD content on a big screen without so much as a hiccup. 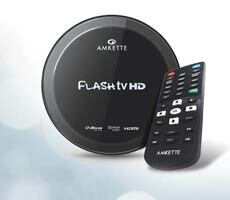 Capable of playing just about any and every format, the Amkette Flash TV HD uses advanced video decoding technology, resulting in impressive movie clarity and DTS/Dolby format sound. Its video preview mode, automatic scanning through attached hard disk drive and automatic selection of the best display type supported by TV and upscaling media are some of its capabilities. Compact, circular shaped, this media hub goes well with most of TV setups. SPECS: 3.5-INCH CAPACITIVE TOUCH DISPLAY; 8 GB ONBOARD MEMORY; TWIN CAMERA; HD RECORDING; 40 HOURS OF AUDIO PLAYBACK, 101 GM. The iPod, which changed the way people listened to music, is available in three different forms. 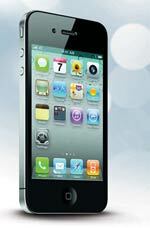 But for us, once again it is the iPod Touch 4th generation that gives out that aura of extraordinary excellence. Its music output has always been the best-in-breed and the addition of a bright Retina display has enhanced the video watching experience on it. Other welcome additions include 720P video capture, FaceTime for video calling over Wi-Fi and thousands of app, making the iPod touch both fun and utilitarian. Because the Touch is upgradable to the latest iOS, it also means that it doesn't get senile too soon. In a year that ended with perhaps the greatest blockboster quarter in the history of videogames, it is hard to pick up one game as the best of the best. How do you choose between Uncharted 3, Skyward Sword, Super Mario 3D, Skyrim, Arkham City, Modern Warfare 3 or Portal 2? The answer lies in looking at games that took the art form the furthest ahead, a game that would end up having the most impact on the widest range of genres. One game emerges then. 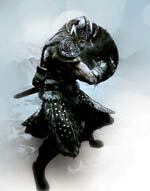 Bethesda's classic The Elder Scrolls V: Skyrim. It is more than a game-a lovingly crafted world to explore and live in, staggering both in terms of sheer scale and scope and in terms of minute details and intricacies. It is a title that the industry has always wanted to make. KINDLE FIRE: When the whole world was running after the tablet and a myriad companies proffered their products to an eager consuming mass, Amazon came up with a very affordable tablet of its own. Priced at $199, it gives users attractive features at a price that is half of the iPad tag. The other great thing going for the Fire is the content- Amazon's collection of music, videos, books and magazines that could be accessed over the tablet. It also comes with a convenient 7-inch display and has been lauded for its "down-to-earth sensibility". SONY HMZ T1: Having made listening to music a very personal activity with its Walkman a generation ago, Sony has now come up with a personal video viewer. It is a head mounted device that allows the user to view 3D and other videos in an immersive theatre-like experience. Its dual OLED displays and the 5.1 channel audio transports you to a theatre even as you sit in a train or a bus. It provides the illusion of a 150-inch screen right in front of your eyes. So while you breathe in one world, you could be on an adventure in another. SAMSUNG GALAXY PLAYER: Samsung's Galaxy world, which consists of smartphone and tablets, now has another star from another genre. The Galaxy Player, a media player, is already being touted as the iPod killer. 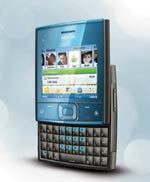 It has a 5-inch LCD display, plays all music formats and can access the Internet for more content. Running on Google Android v2.3, or Gingerbread, it can also compete with Apple in the apps that can be downloaded on to the device.